As the weather warms up, my appetite changes. I tend to want lighter foods and swap my usual indulgences with a bowl of chopped fruit. 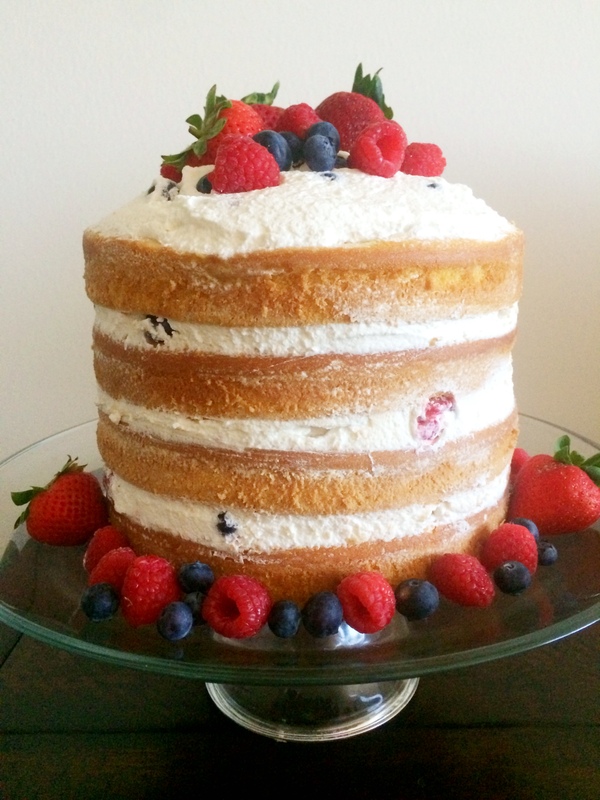 So, I thought this naked cake with berries and fresh whipped cream would be the perfect accompaniment to summer barbeques and al fresco dinner parties. It is easy to make and skips a whole lot of calories that can be found in heavier, more sugary frosting. And it is so simple; so pretty, yet understated. Once your cakes are cooled, slice off the tops to make each cake even. Fold a mixture of the rinsed berries into the whipped cream. 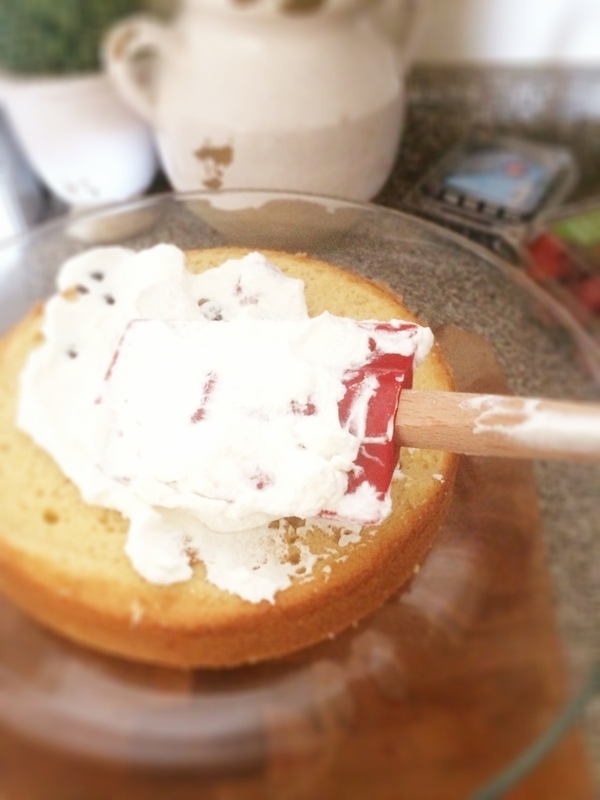 Using a spatula, spread the whipped cream and berries between each layer of cake. 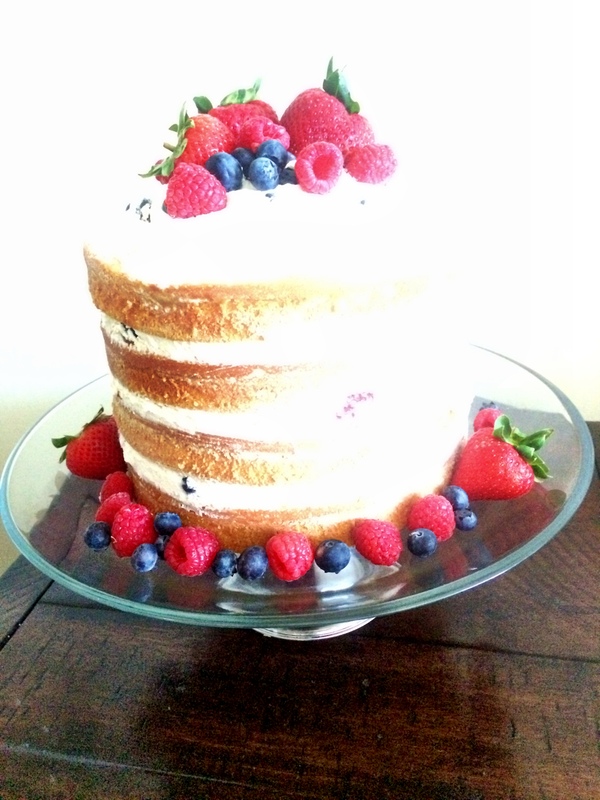 Save some extra berries to place on top of the cake for decoration. 1. Place the bowl and whisk in the freezer for 10-15 minutes before making your whipped cream. 2. Refrigerate immediately or keep whipped cream in an air tight container in the refrigerator and layer it onto the cake just before serving. 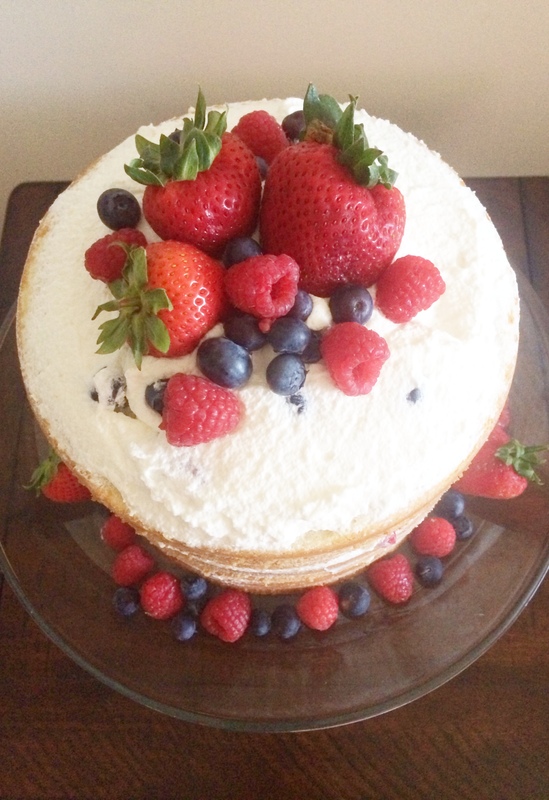 You can use whichever fruits are your favorite, but I prefer strawberries, blueberries and raspberries and the red, white and blue color scheme is great for this Memorial Day weekend! Happy Memorial Day Weekend! Enjoy! Looks ALMOST too pretty to eat…but ate it anyway…so light…so good!!! Perfect dessert at the end of a barbeque!!! Delicious! Tastes as good as it looks.